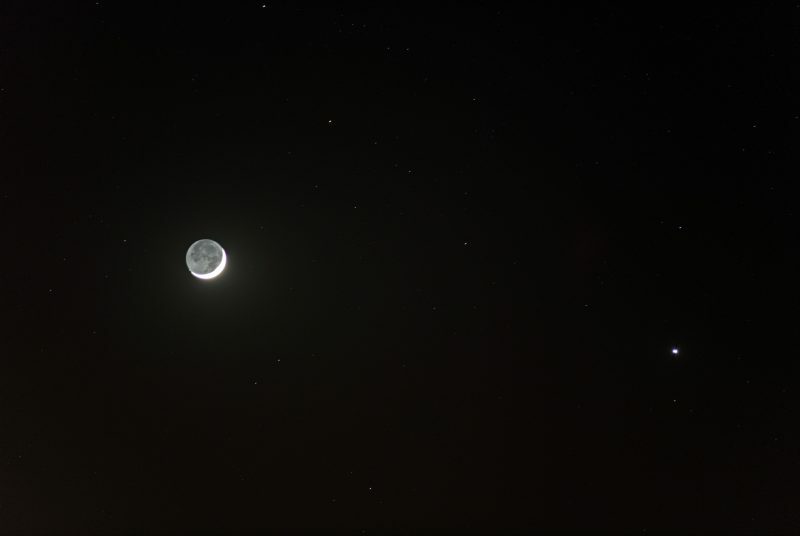 The returning moon and brightest planet were near each other in the sky the last 2 evenings. 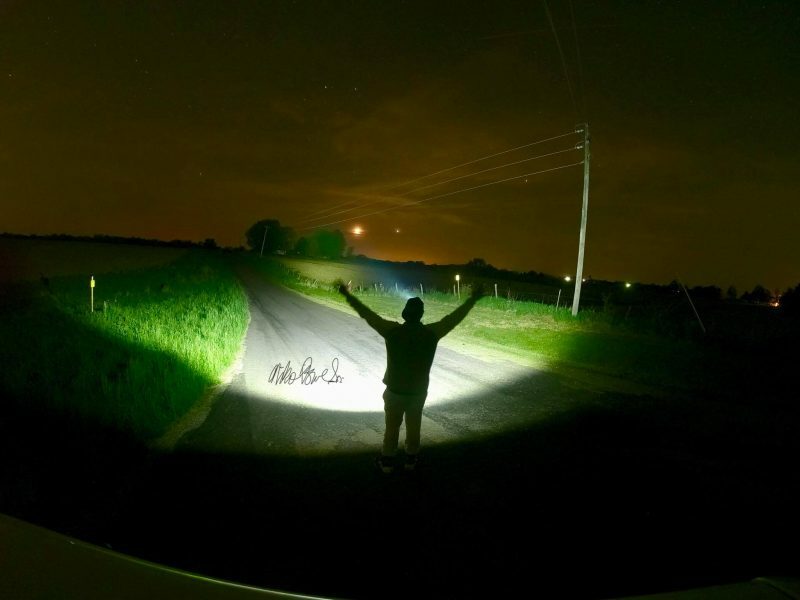 Don’t miss these gorgeous photos from the EarthSky community. 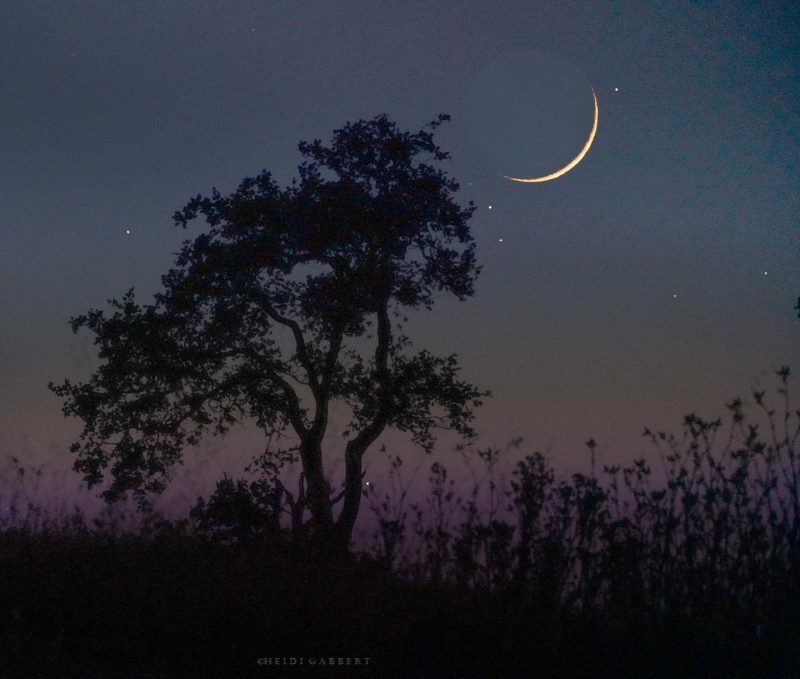 Eliot Herman in Tucson, Arizona, wrote: “… much better to see than a photo.” Camera Nikon D850, Nikon 180 mm lens, F2.8, ISO 4000. This is nine images stacked differing by 0.3 stops, deconvoluted and adjusted with Photoshop. 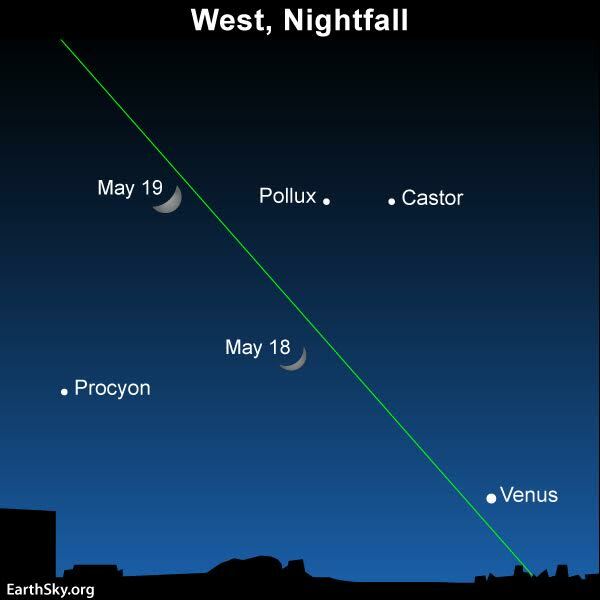 Nico Powe wrote: “Checking out the young moon, Venus, Castor and Pollux [the 2 stars above the moon and Venus], the zodiacal light and more in Kewanee, Illinois!” See the chart below. 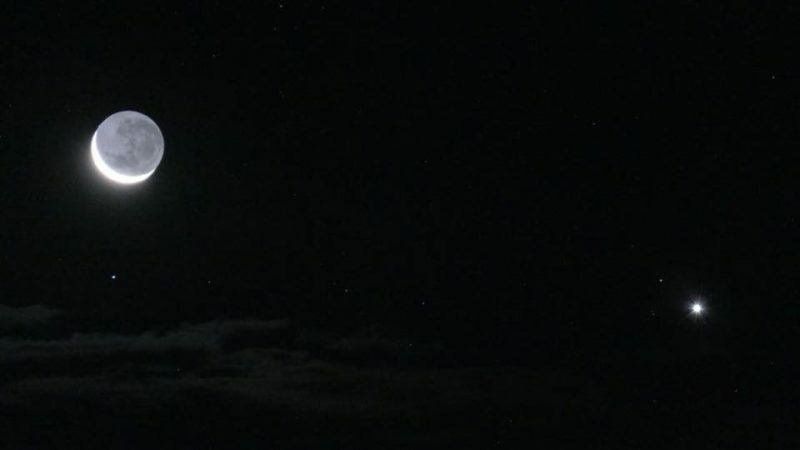 If you keep watching Friday and Saturday evenings, you’ll see the moon move up toward the stars Castor and Pollux in the constellation Gemini. Look west shortly after the sun goes down. 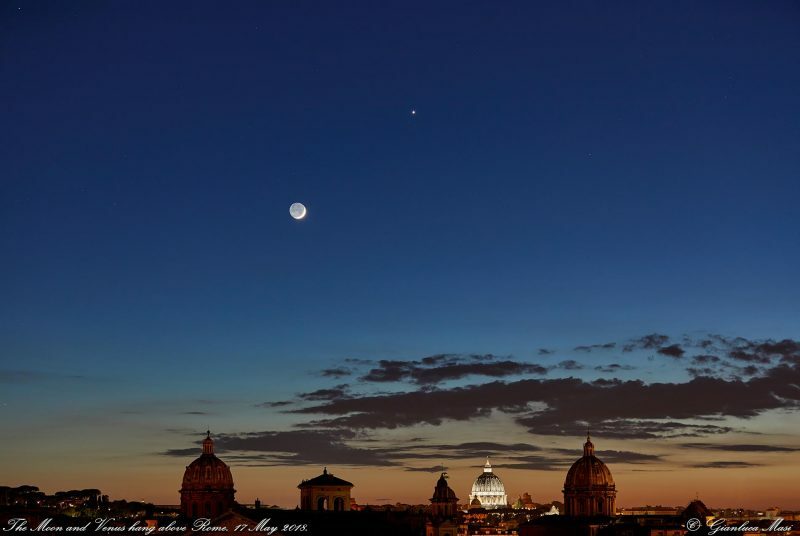 Gianluca Masi of the Virtual Telescope Project caught Venus and the moon from Rome, Italy, on May 17, 2018. 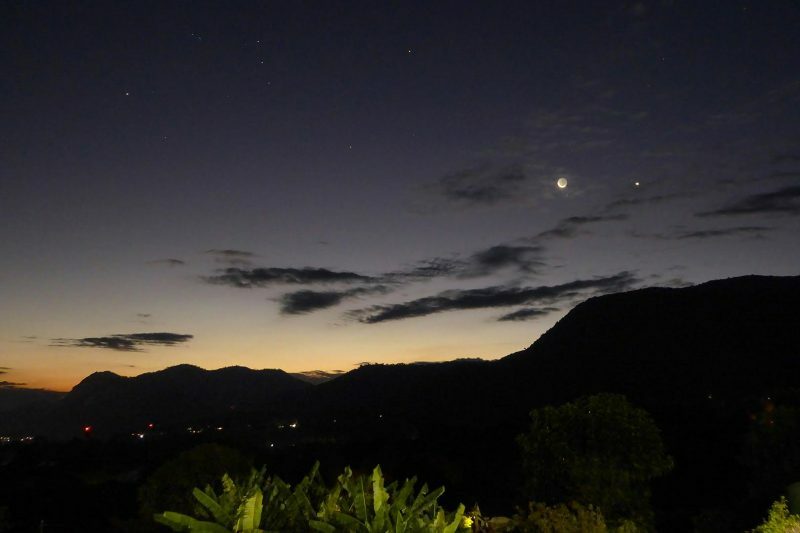 Moon and Venus, May 17, 2018, from Peter Lowenstein in Mutare, Zimbabwe. 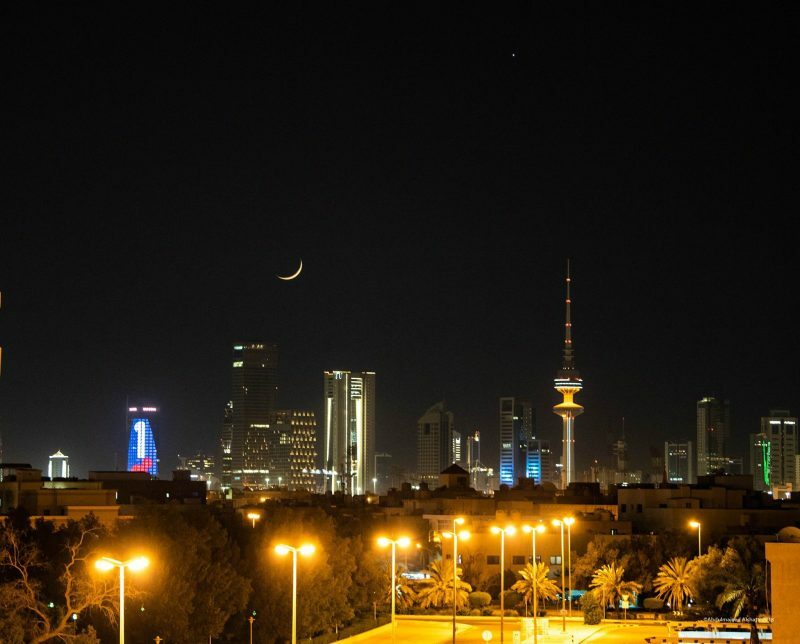 Isi Grefen caught Venus and the moon on May 17 from Gilling East, North Yorkshire, U.K.
Abdulmajeed Alshatti captured this crescent moon – which marked the start of the Islamic holy month of Ramadan – from Kuwait City on May 17. 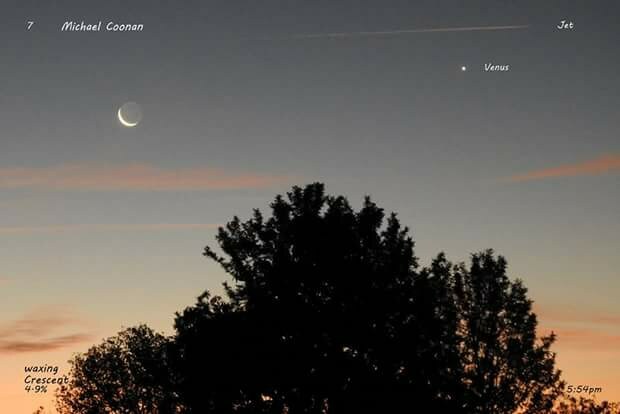 Michael Coonan caught Venus and the moon on May 17 from Wodonga, Australia. 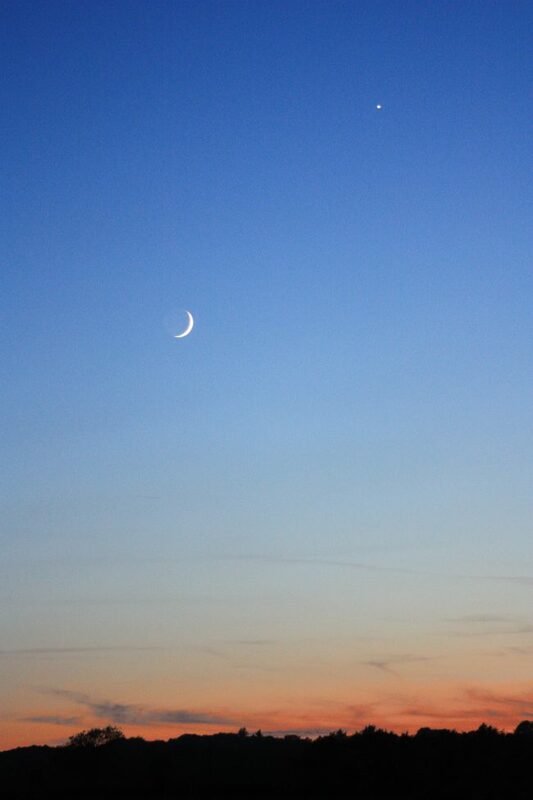 Nikki Ellis caught Venus and the moon on May 17 from South Africa. 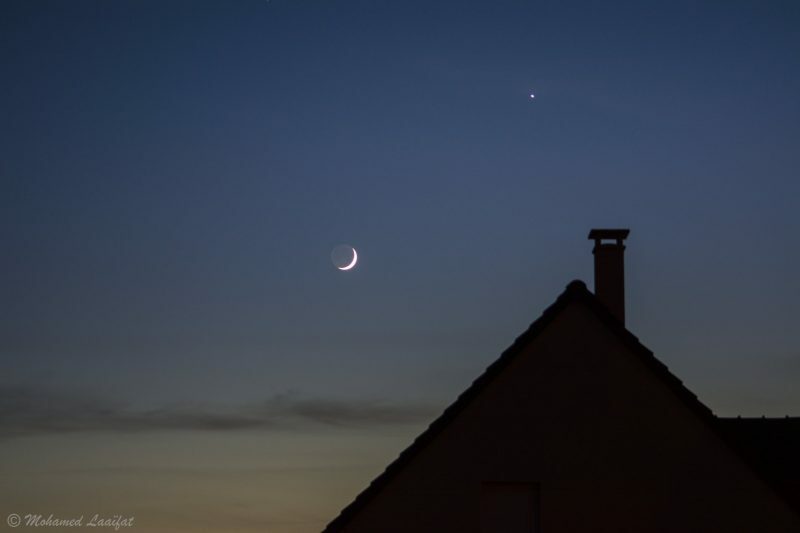 Moon and Venus on May 17, 2018, from Jean Baptiste Feldmann – aka Astro Jb – in France. 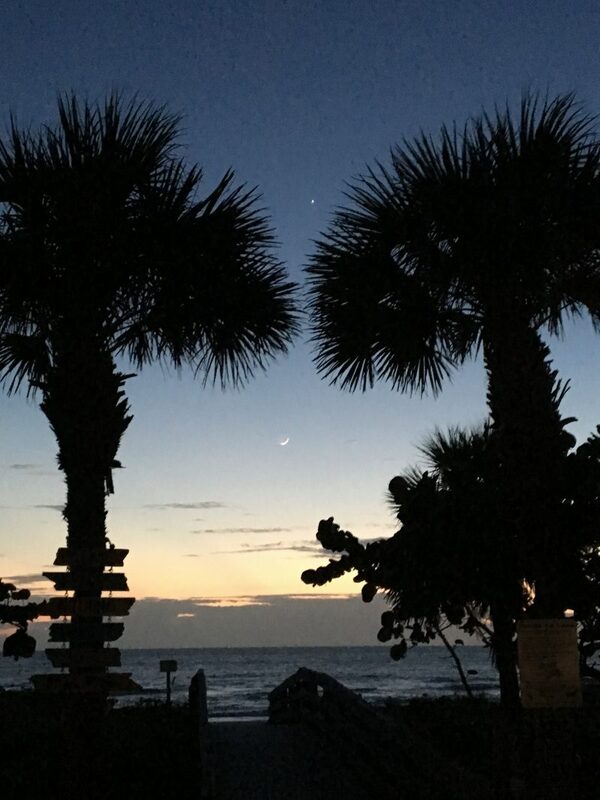 Chris Young in Indian Rocks Beach, Florida, shot Venus and the moon with an iPhone on May 16, 2018. 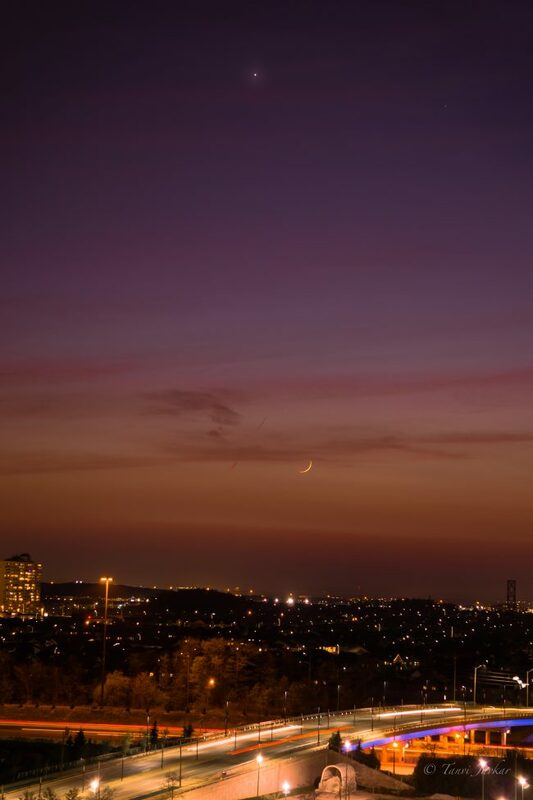 Tanvi Javkar in Mississauga, Ontario, Canada, caught Venus and the moon on May 16. 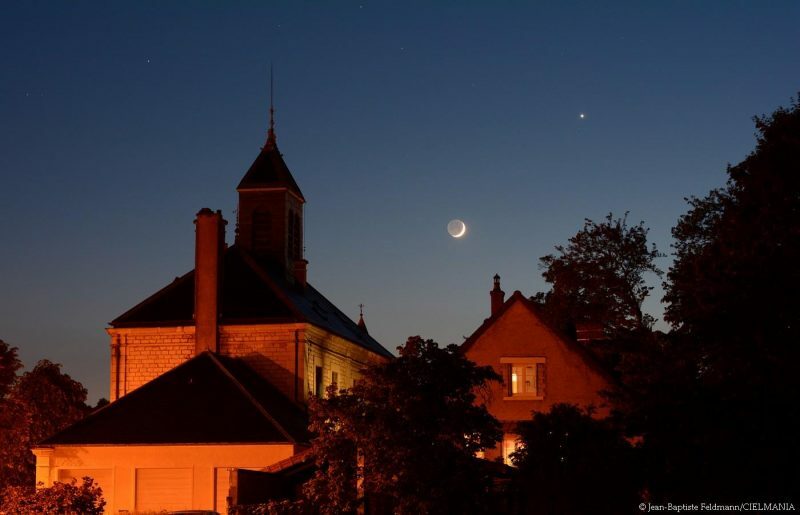 Bottom line: Photos of the moon and Venus on May 16 and 17, 2018, from the EarthSky community around the world.